Less than 12 years ago, he was making his European conducting debut as a young conductor, virtually unknown beyond his native Canada. Within his first few seasons, he had established an enviable European profile and regular appearances in major cultural capitals and series, and built close relationships with a number of ensembles. This development was mirrored in North America, where he became a welcome guest of major orchestras. Exactly three years after his European debut, he was invited to succeed Valery Gergiev as Music Director of the Rotterdam Philharmonic and soon afterwards, Principal Guest Conductor of the London Philharmonic. 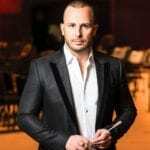 His first conducting decade, devoted to learning his craft and building enduring musical relationships in and around Montreal proved a wise decision, allowing him to work on a remarkably broad range of concert repertoire and dig deep into the world of opera. Appointed Music Director of Montreal’s Orchestre Métropolitain in 2000, the relationship continues to this day and bears eloquent testimony to the remarkable musical achievements that such stable and loyal partnerships can offer at a crucial stage. No whirlwind tour of Yannick’s recent career would be complete without mentioning extensive touring with the Rotterdam Philharmonic (Europe, North America, Far East); his regular Paris presence, first with Orchestre National de France, more recently with Rotterdam and the Chamber Orchestra of Europe; appearances at festivals such as the BBC Proms, New York’s Mostly Mozart Festival, Lucerne, Salzburg, Edinburgh; his three-year residency at Konzerthaus Dortmund, just drawing to a close, which will have hosted appearances with Rotterdam, COE, LPO, Philadelphia, Berliner Philharmoniker,Wiener Philharmoniker and Bayerischer Rundfunk; his ongoing cycle of Mozart operas (captured live for release on Deutsche Grammophon) over nearly a decade at Festspielhaus Baden-Baden; his cycles of Schumann and Mendelssohn symphonies (also recorded) with COE; his relationship with Berliner Philharmoniker (he returns this month for subscription concerts,Waldbühne and touring); and with Wiener Philharmoniker, (concerts and staged opera in Salzburg, and forthcoming concerts on tour and in Vienna); and to round 2015/16 off, appearances with Philadelphia and Orchestre Métropolitain in their regular summer homes and returns to the Edinburgh and Lucerne Festivals with the Rotterdam Philharmonic. Happily, the structure of the Philadelphia and Met seasons will allow for a continuing European presence.